Xbox One release date set to be November 8th? | What Hi-Fi? Xbox One release date set to be November 8th? The latest rumour suggests the Xbox One could be set for release on November 8th. The leak, reported by gaming website Kotaku, originates from a marketing company that has been contracted by Walmart to produce signage and product placement deals for the new Xbox console. The source supposedly passed along a document referring to a conference call showing a list of upcoming releases for the next three months, as well as the release date in the US. The Xbox One launch month has been officially confirmed as November but the exact date remains elusive, with only the Xbox One price confirmed so far. This is despite key games such as Grand Theft Auto 5 and Assassin's Creed: Black Flag all having confirmed launch dates. 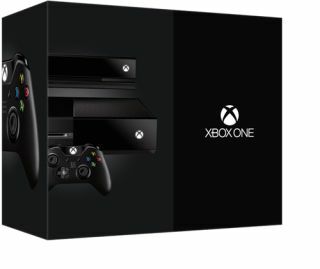 It's thought Microsoft will be keen to get the new console on sale before the PS4, however. If the rumour is true, it would put the Xbox One on the market a week before the Sony Playstation 4 with a UK release, you would imagine, not too far behind.